One of my substitutions is for lasagna noodles. I have tried using zucchini, eggplant, and various other vegetables instead of the pasta and in a lasagna, they are too watery to use. I tried using egg substitute and I think my lasagna turned out great! My husband didn’t even know that he wasn’t eating pasta! He also loves sausage in his lasagna. Who doesn’t?? 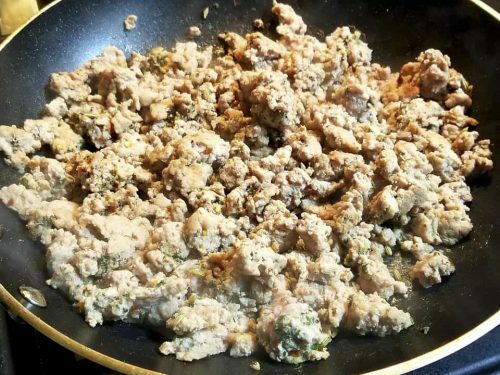 I decided to use lean ground turkey instead of Italian sausage and once again he had no idea I substituted his beloved pork sausage! Plus, we didn’t feel bloated and heavy after eating such a “decadent” meal! 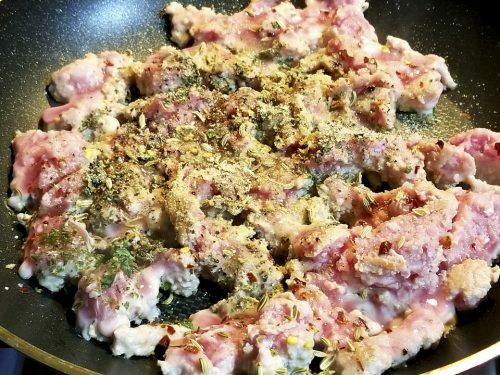 I also like to use my turkey “sausage” for other recipes that would normally use sausage and I also love it in my scrambled eggs for breakfast! After dinner I often get a craving for just a little something sweet. 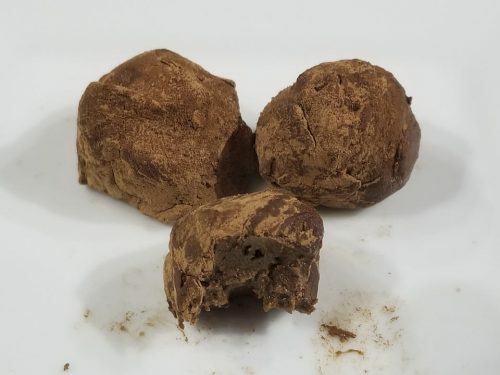 I always try not to indulge in something like chocolate truffles and in fact I don’t like to keep anything like that in my house! But when the craving hits it hits hard so I had to find something that I could keep in my house that I wouldn’t feel guilty about if I did eat one, or three!! By using a healthy fat such as an avocado, you really get that good mouth feel and it is very satisfying. Not to mention the deep chocolatey flavor! So here are my recipes for a few healthy substitutions that I hope you try and enjoy. Happy eating! Use 1 XL egg or 1/4 cup egg substitute for each noodle. Add a pinch of salt to each egg. 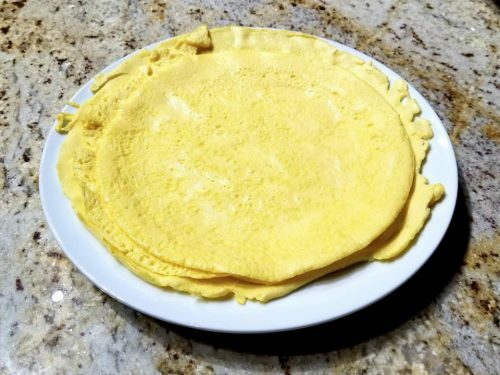 Not necessary to use salt if you use egg substitute. Spray a small pan with cooking spray and heat over medium low heat. 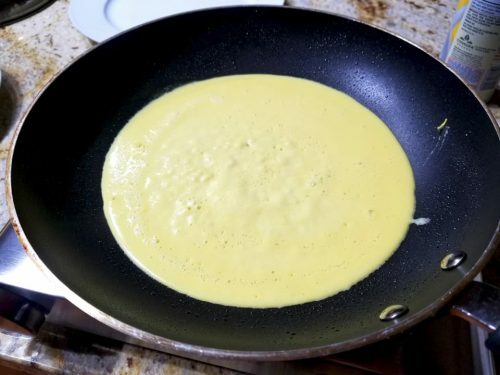 Pour egg mixture into the pan and swirl around until it coats the bottom of the pan evenly. Cover and let cook for a minute or so until the egg sets enough where it slides out of the pan in a whole piece. Set aside on a plate until all your noodles are made. They can be easily cut to fit any size lasagna pan. Layer your lasagna like you normally would using the eggs instead of pasta. 1 lb. 93/7% lean turkey (not breast) If the package is more than 1 pound, that’s fine too! 2 tsp salt (or to taste) sausage is usually salty to taste! Heat a nonstick pan over high heat and spray with cooking spray. Add the ground turkey and break it up in the pan. Add the ingredients and cook until turkey is no longer pink, turning the heat down if necessary so it doesn’t brown too much. Taste and adjust the seasoning to your liking. You can use this for any recipe that uses sausage crumbles! Put avocado flesh into a bowl and add everything except the milk. Using a beater mix thoroughly. If the mixture is too thick add a few drops of the almond milk and mix again. 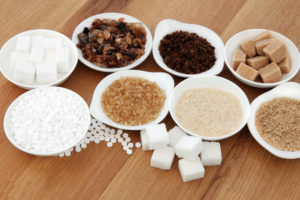 Taste and adjust the sweetener. You can use this as a spread just like this in place of Nutella! 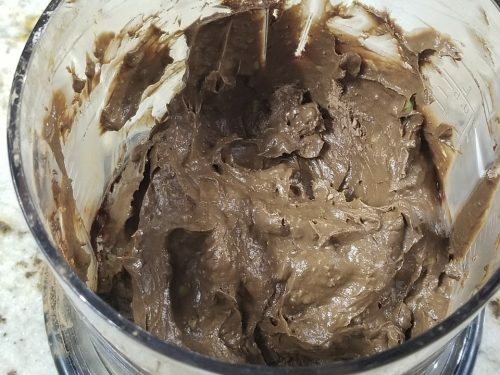 If you are making truffles, put them into the freezer for a few minutes to harden. 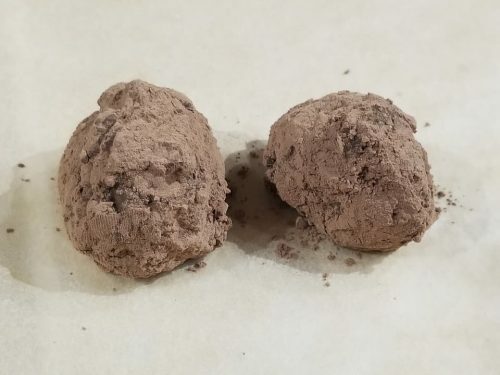 Using a spoon scoop out about a TBSP and form it into a ball and roll it into the extra cocoa powder. Set onto a cookie sheet with parchment paper and repeat until all of the mixture is rolled. 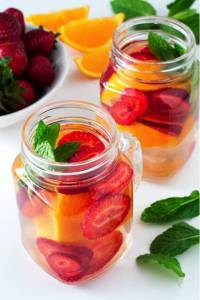 Put them into the freezer and when they are frozen keep them in an air tight container. When you want to enjoy them take out as many as you are eating and let sit at room temperature for 10 minutes before eating. Don’t let them sit out for too long or they will become too soft. Greek Yogurt as a Great Pre- or Post-Workout snack! Thank you for the recipe ideas!